Helen Peabody and class of 1866 Olivia Brice, upper right. The archives lays claim to materials from the Board of Trustee records dating back to 1853, original material from Western College’s various Presidents (including Helen Peabody, Leila McKee and William Boyd), an impressive photograph collection and much more. Archival records may be accessed online through our ArchivesSpace instance. In accordance with the vision of Miami University and the Mission Statement of University Libraries, the Western College Memorial Archives serves the university, local and international communities by collecting, preserving and providing access to primary resources on the culture and history of the former Western College for Women (1853-1974). The Western College Memorial Archives is dedicated to acquiring and preserving any and all materials directly related to the Western College for Women. The Archives includes Boards of Trustees records dating back to 1853, original materials from Western College presidents and an impressive photographic collection. Primary sources are available in a variety of media including audio and video. Materials produced by or about the college such as administrative records, policies, catalogs, biographical information about faculty and alumnae, Western College publications, photographs, and other documentary media. Reference copies of monographs reflecting the history of Western College for Women. Freedom Summer materials directly related to activities that occurred in 1964. The Miami University Libraries welcomes the donation of materials appropriate to the mission and scope of the Western College Memorial Archives, as determined by the Archivist. Western College was founded in 1853 as the ‘western’ representation of Mt. Holyoke in Massachusetts, with its dual vision of missionary zeal and low-cost yet high-quality education for women. 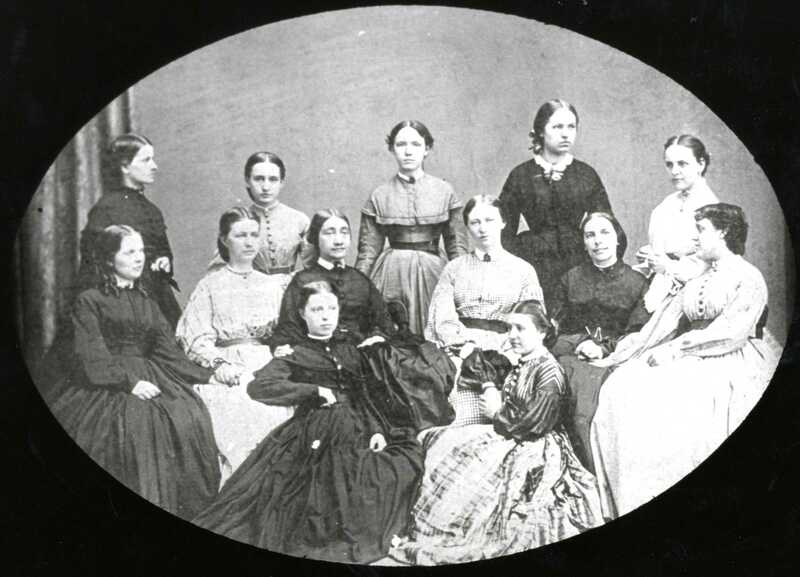 Strongly supported by the leaders of the Presbyterian Church of Oxford, classes at the Western Female Seminary began in 1855 with Helen Peabody, a Mt. Holyoke graduate, as principal. In 1970, an innovative interdisciplinary approach to education called “Freedom with Responsibility” was initiated under the leadership of President William C. Spencer. Another new direction was the decision in 1971 to admit men.